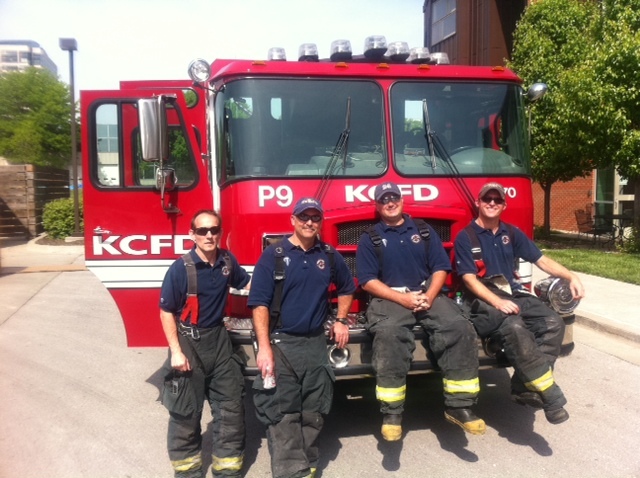 Home Rental Services supports Ronald McDonald Fundraiser « Home Rental Services, Inc.
On Saturday, May 7th, Kandy, Tom and Jason represented Home Rental Services by going to the Ronald McDonald Fundraiser at the Ronald McDonald house on Cherry Street in downtown Kansas City. We partner with our locksmith and collect keys to donate to the annual fundraiser. In our daily business, we generate quite a few keys when we re-key houses for new tenants. We save each and every one knowing that they will help the Ronald McDonald house. Some Aluminum Fencing as Well! The mission of the Ronald McDonald House is to reduce the burden of childhood illness on children and their families by providing a “home away from home” for families traveling to Kansas City for their child’s medical care. On any given night, Ronald McDonald House Charities of Kansas City serves 67 families. Annually, their Houses and Family Room provide lodging to nearly 6,000 families as well as open our doors to support over 41,000 visits from family and friends of in-patients at Children’s Mercy Hospital. It takes a lot of money to make this happen. 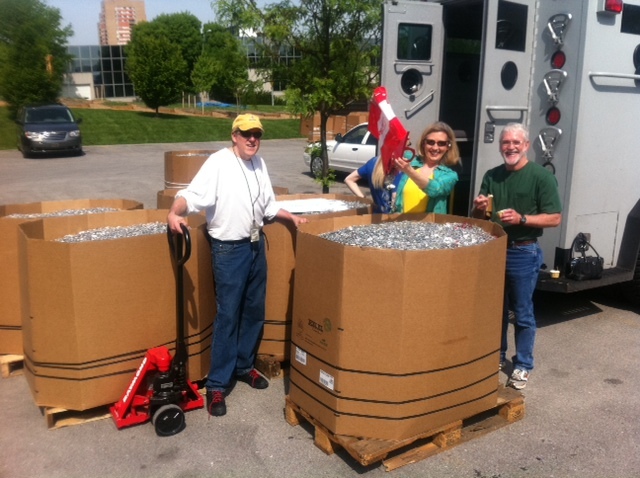 An important source of funding for the Ronald McDonald house is the collection of pop can tabs and brass keys. The pop can tabs have a high percentage of aluminum and are worth more as scrap than the rest of an aluminum can. The brass keys are valuable as well for scrap. 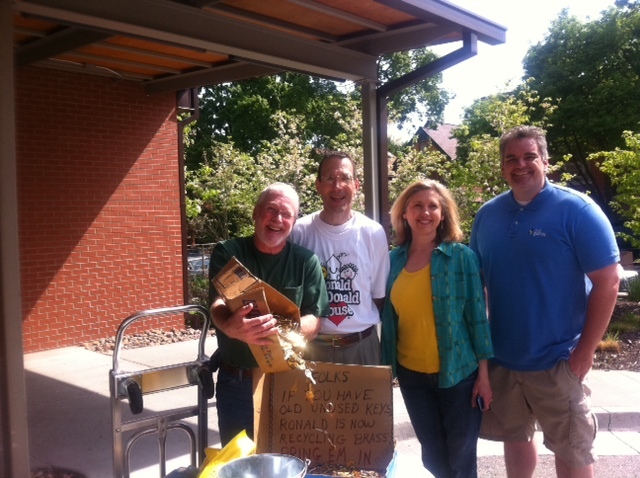 Ronald McDonald house works with a local scrap metal company to convert the tabs and keys to cash to support their programs and services. 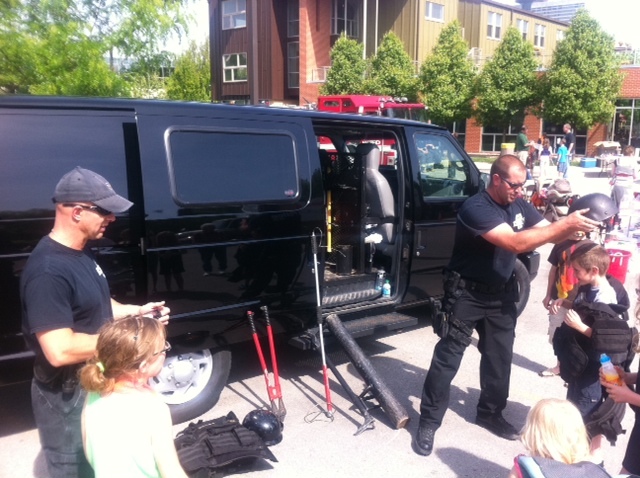 They closed off their parking lot for the event and had firemen, a police swat team, tons of activities for kids and free ice cream. 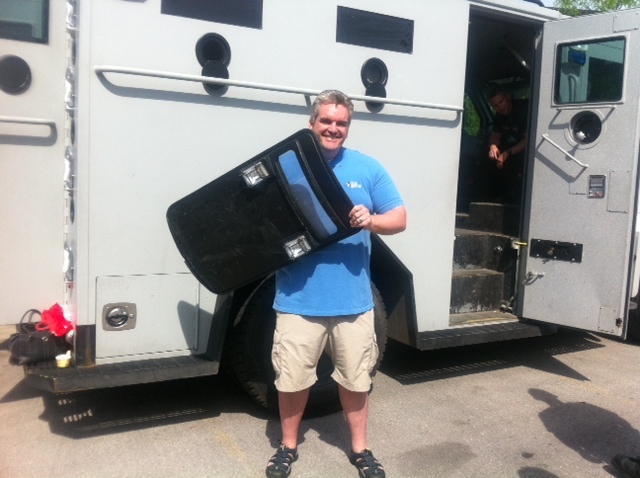 Jason had to get behind a riot shield for a photo op! We had a blast participating. 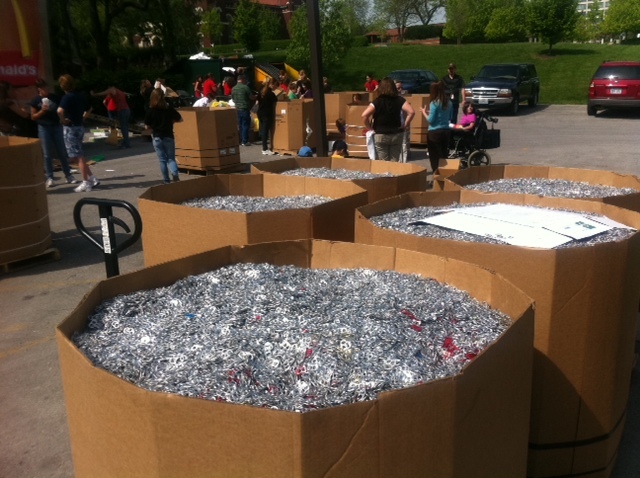 It was obvious that the amount of donations of pop tabs and brass keys for scrap metal were going to generate a lot of money for the Ronald McDonald house. This might be something you consider doing in your office, school or church! Let us know any stories you have about collecting pop tabs or brass keys for the Ronald McDonald house by replying to this post!